This is the second of four articles that outlines the Clubb Chimera approach. Regardless of your chosen path, I think that Jamie's methodology has a great deal to offer all martial artists and that these articles will be very useful in getting people to analyse their own training and methods. I'm very grateful to Jamie for continuing to share his knowledge with members and visitors to this site. 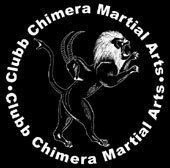 The Clubb Chimera Martial Arts “process” is designed to be a very organic and natural form of progression that guides an individual to fulfil their personal potential. A criticism I can anticipate early on from many martial artists is that the structure appears very loose and generic. This all emanates from a decision I made early on to never include techniques in our syllabus. I do not believe anyone has the right to tell anyone else what technique they will use when their life is in danger. Under stress you will do whatever comes natural to you and whatever the mid-brain has, through experience, deemed to be the most efficient for you. This is why CCMA is more about teaching than accumulating theoretical knowledge. We want our students to think like teachers because when you teach you learn faster and more efficiently, simply based on the fact that you become more committed to material you have learnt. The best way to learn anything is through practical experience. So, our structure may seem quite loose because we are trying to look at the broader picture by not trying to make people fit into a set and complex way of doing things. We accept that times change, people change and environments change, so therefore training methods and learning methods also need to evolve. However, there is a structure in place and it can be far more focused than even the most regimented of training systems. What we are discussing here are principles. Because our principles are so focused, the rest of our structure can afford to be malleable as there is no insecurity about the core. Our principles are grown from the fertile ground of “common sense”. To keep the terminology simple Common Sense, in CCMA terms, is a fusion of intuition (our experience driven instincts), and actions determined by obvious data. Principles are general rules we can take from common sense. These principles are general, but as robust as possible at the time of writing. Our non-physical principles are perhaps best embodied by our five CCMA tenets of respect, awareness, courage, discipline and open mind. 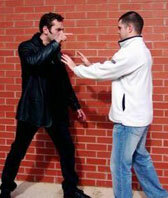 A simple principle for good self-defence is to adopt or develop a proactive attitude. This is an attitude where you take complete control and responsibility for your life. Without independence how can one hope to take control of another individual intent on controlling you? In fact, if you spend your life being dependent on others then you will be seriously under-equipped to take charge of anything. The self-learning approach CCMA and, indeed, other progressively thinking self-protection programmes takes is a step in the right direction to becoming a master of you. This inner security makes for a firm foundation to build strategies and tactics that will enable you to better handle others. Such an attitude should run through all your training – you are in control of your mind, you are in control of your body. It is up to you how much you value your existence and at what stage it is worth giving up. Survival is defined by the will to keep going and to keep living, so if survival is what you are after then it follows that your attitude should be of the “never give in” type. It is certainly easier said than done, but appears to be a simple hard truth of life. For me, a lot of attitude comes down to self-respect. The first thing I teach any new student is respect. It is a corner stone of most martial arts systems, often expressed in the rituals practiced by a particular art. We are not big on rituals at CCMA, but do keep a salutation or bow as an accepted standard beginning and ending lesson mark of respect. We believe in teaching inner-respect, so that you feel that you are worth fighting for and also that you have confidence in your ability to fight. Further on from that we teach an outer-respect to others, to society in general. If you have done the inner-respect bit right then there is little fear of being naïve at this stage. A good sense of respect for others will help you avoid becoming arrogant or cocky, which in some areas of society can inspire confrontation and an unnecessary physical situation. In a more holistic sense promoting greater respect helps develop a safer society, which is ultimate self-defence in the long term. Awareness is a crucial principle. Being aware on a basic level is the state of being switched on to your surroundings. You are in what the self-defence pistol instructor Jeff Cooper describes as being in Code Yellow, so that you can identify any possible threats (Code Orange) or actual threats (Code Red). If you are not aware then you are in Code White, which means that you probably will not detect any trouble until trouble finds you. A vital criticism of the majority of martial arts practiced today is that they are too reactive in their physical applications. I believe it is a question of mindset. The respect tenet or principle teaches us to have a proactive attitude. Being aware is being proactive as you are decreasing the extent a sudden change in your environment will control you. However, it should also be recognised that being aware does not mean being paranoid. A state of hyperawareness, where you are virtually in Code Orange all the time is neither good for your mental or physical health nor will it make you any less susceptible to being attacked. Think of it like driving, an over hesitant or cautious driver is just as much a danger as an overconfident or reckless one. Putting it simply by being paranoid you are listening to your imagination rather than your intuition. Inner-awareness is the state of being switched on to you. By being inwardly aware you are more sensitive to your intuition. You learn to listen to your “gut feelings”. Living in the complicated and civilised times of today means that we are not out hunting and foraging as we did in prehistoric times, where we would be more in tune with the feelings of adrenaline. Life is not lived daily on the edge of survival, so we are more detached from the various survival signals our bodies send our brains. By understanding the effects and the function of adrenaline in our system, we can better control ourselves in a pressurized situation rather than just interpreting it as an uncomfortable affliction we call “stress”. Furthermore we can recognise the effects of adrenaline in others and by understanding their basic behaviour, determine whether they are a physical threat or not. Courage as a principle might seem a little illogical. Many of us have been brought up to think of courage as a spiritual commodity exhibited by legendary people in mythical situations. As we grow more sophisticated we appreciate that normal people exhibit courage and not always in the practice of slaying literal dragons. People who overcome personal hardships are often considered brave. Bravery was famously best described by the boxing coach Cus D'Amato, who defined it not as the absence of fear, but in making the harder choice in the face of fear. It is considered by many to be a value, but at CCMA we believe it to be a decision than can be made by anyone. As a principle, therefore, courage is the rule that you take the harder path if it is attached to your goal of survival. For example, if you fight purely because you fear losing face then it might be courageous not to fight and face down your own pride. Likewise if you submit to the will of another through fear then it might be courageous to fight back. In essence, courage is the principle of making tough decisions before there is no decision to make. Discipline sadly has become synonymous with punishment and obedience, when really it should be about retaining order. The issue of self-discipline for me is much more important than keeping discipline in a classroom. You need to have order of yourself, the discipline to keep doing what is required to be successful. The issue of self-discipline is one of the most obvious core principles in martial arts training. This is because most people lack it and as we become more and more distanced from the realities of life in our society, the excuses are easier to make. However, deep within us all we know that in order to be good at anything you have to be prepared to stick with it and train some things until you are sick to death of them. Mentally we need to be disciplined to have keep the right attitude in all we do, be switched on at all times and make that tough decision when the wrong choice looks a hundred times more appealing. 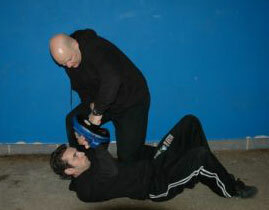 Discipline is required at all stages of self-defence from the initial training to the actual real-life application. It underlies the three previous tenets of respect, awareness and courage. Open Mind is the principle of adaptability. This takes us straight back to the common sense part of the process and really keeps your mind tuned into the here and now. With all the other tenets in place, an open mind ensures that we are not, as the old cliché goes, trying to fit a round peg in a square hole. Situations change and sometimes we need to change in order to survive. From a training perspective having an open mind has led to some of the greatest martial arts innovations. In fact, the whole concept of cross training was born from having an open-minded attitude to learning. I encourage my students to cross train and I do my best to expose my students to other systems, especially if I feel it will benefit them to focus on a specific area. I also regularly bring in new concepts to test and incorporate into our training, which is another reason why the CCMA syllabus needs to have a degree of flexibility and general patterns need to be observed rather than techniques accumulated. Having an open mind does not mean having an empty head. It is a position of strength to be able to know when to change rather than to just change because it is the easy option. This is the reason why the other tenets need to be in place first. Cross training can be hugely beneficial, but not at the expense of individual style. You are not a martial art and a martial art is not an entity. As I have said time and again, it is not about the martial arts it is what the martial arts are about. In other words when we go into another art we are more interested in gaining the experience and attributes that come from that art's training methods rather than simply learning a pattern of movement or a series of techniques we will then transplant to our class and attempt to bolt on to another system without modification. In short, when we learn Western Boxing we do it to get more familiar with using our hands as striking weapons under pressure, we do not think that in a limited or no rules situation we will immediately start punching like boxer in a regular boxing match. All this “now it is time to switch to styles” nonsense makes for exciting melodrama, but in reality the only style is your own individual style. CCMA is a constantly evolving system, which regularly introduces new programmes for students to experiment with and help improve their holistic understanding of self-defence and martial arts training. At the time of writing we have found the following general physical principles seem to hold true: escape as a priority, strike pre-emptively and attack the attack, proactive forward pressure whenever possible and the use of the whole body (or what is available) in the execution of strategies, tactics and techniques. Here is how we uncovered them. It is hard to argue that your personal safety is not a high priority self-defence principle. All First Aid and emergency procedure training begins with the primary guide that you must ensure your safety first before you take any other type of action. Therefore early training revolves around getting out of a situation safely as quickly as possible. In fact, you will find in most pressure-testing drills if you give one person the goal to escape he will find it a lot easier than the time consuming alpha male activity of trying to dominate his opponent or opponents. The drive to escape is a powerful one and therefore it follows that if you have to fight, then this is purely a temporary tactic used in order to escape. It makes sense to start your drills with a simple escape exercise and each drill on from that becomes progressively more difficult, involving more obstacles or beginning from more difficult positions. We can see just how much potential a human being has to escape by observing the current trend in “Free Running”. This is the commercial and sub-cultural extension of the French physical art of Parkour, which, itself, is an acrobatic system derived from a pragmatic method of escape originally initiated by the World War I French Naval officer, Georges Hebert, and is, by my reckoning, a martial arts discipline. Through our training with children we, at CCMA, quickly discovered that I needed to think very broadly with our principles. It wasn't just enough to dismiss the technique-centred approach only to become fixated on other specifics. We had to step right back and look at the whole picture. Certain things that just about fitted in with my adult students had to be re-thought. For example, with the average adult it is fairly easy to argue the case for head-hunting with your striking. Indeed, I know a lot of excellent instructors who push the principle of attacking the head. It is a very sound tactic. Even if you do not neutralise your attacker immediately, a forceful attack to the part of the body that holds all five our senses, four of them exclusively, will put them in a defensive mode and put you more in control. However, we discovered that this specific tactic could not always be immediately applied. Whilst teaching a self-defence course a slightly built woman argued that the head was not going to be a likely target. It got me thinking. At the time I had to concede she would be better striking a target closer to her personal headline in order to bring the head down and then, after this variation on a pre-emptive strike, she should follow it up with an assault towards her would-be attacker's head. The question had shaken the head-hunting strategy, but I always knew there would be exceptions to the rule and still felt the overall idea was sound – I was still advising those of a diminutive size to aim for the head whenever possible. However, it would not be long before I would have to think yet again about the elasticity of this principle. Until I saw children doing anti-abduction pressure tests against adults I had never really thought deeply or further about this tactic. Range was suddenly a factor. The principle had to be more generic. So I looked at restrictive drills and used the principle of attacking the highline rather just aiming for the head. This was an improvement on the first principle. Now we didn't have a specific anatomical target, just the idea of striking a target at your personal highline. For example, someone much shorter than their attacker or someone attacked in a seated position might attack the solar plexus or groin instead of the head. This would have been a solution that neatly accommodated my smaller stature adult student at my seminar. Nevertheless, it still did not answer the child problem. When put under pressure, even with an adult sporting a gigantic target in the form of a deluxe groin guard, striking the groin highline target just was not working. They weren't even getting close and even if they did it was completely compromising the principle of escape. It simply is not good self-defence to tell a child to get close to a potential abductor in order to escape them. However, what was proving to be efficient was running away, using their voice, stamping the lowline and biting anything that came into their personal space, such a gripping hand. A child has little to attack on an adult other than their attacking limbs. Their pre-emptive strike is likely to be a slap to a reaching hand or a kick to a shin to distract. As if to reinforce this point there was a recent and local case study to draw from. A man who had regularly trying to draw children into his car had abandoned his usual modus operandi of non-physical persuasion for an actual attack. He grabbed a school girl and tried to drag her off. She responded with a series of kicks or stamps to his feet and legs, eventually freeing herself to run away. This is not an ideal set of tactics for adults and the points about attacking the highline and the advantage of having someone on the back foot trying to protect their head is valid. So the principle had to be taken back to its common sense core and the conclusion was simple: attack the attack. If you are going to attack the attack you need to do it with full commitment and this does not just mean on a mental level. The whole body has to be productively utilised behind every method you use whether you are pushing, striking or grappling. The hardest hitters all use force from the feet. They may argue amongst themselves regarding what type of force is used and have their own takes on it, from Russell Stuteley's wave form to Peter Consterdine's double hip, but essentially they drive the force into their strikes using good body mechanics that start with the feet then go up into the hip and eventually drive the shoulder. Steve Rowe puts the feet as the first of his “Eight Principles” and Tommy Thompson and Rocky Sondhi claim in their “Techniques Variety and Predictability” Boxing programme that “it is all in the feet”. In Muay Thai we were always taught to drive all our techniques up from the floor, this was never more emphasized than with knee strikes, recently argued in the media to be the martial arts technique with the biggest impact. During my time on Geoff Thompson's instructor course we were able to gauge how well we had punched a pad by the parts of our body that hurt the most. It was considered bad and completely wrong form if our shoulders ached, “getting there” if our oblique muscles hurt, very good if our calf muscles hurt and excellent if our feet were the main source of discomfort. On the traditional side of things, Chris Rowen – a very hard hitting Shihan - of Goju Ryu said to me once that his feet, particularly his toes, often ached after delivering techniques. The evidence is overwhelming and so it is a fairly sound principle. However, what happens when the feet are not there to utilise? What happens when you are in a fray dealing with more than one attacker? When you test the matter under restrictions, the principle of using the whole body actually does stand up pretty well. Geoff Thompson, with no small input from Matty Evans's superb personal coaching, was a huge influence here in the Clubb Chimera Martial Arts training methodology. The Real Combat Method's restrictive training drills teach the idea that you should be able to strike from “nothing”, which also helps make your striking come from natural positions. What you quickly learn is that no matter what position you are in you will put all your body into the shot, finding your power source from somewhere through necessity. If you can't get the feet then the next link in your biomechanical chain of force will have to do. What restrictive striking actually does is it helps improve your striking from a standing position. So, in addition from doing most of the striking from close-quarters, we drill striking from the knees, from sitting and from a grappling guard. We have also put it into a standard transitional drill, which owes at least some inspiration to the brief time I spent with Andy Norman, co-founder of the Keysi Fighting Method. To give credit where it is due, Andy got me thinking more about the reality of multiple attackers, which are more common now than ever before. He also showed me what Mo Teague had always said regarding how your striking power diminishes under pressure. Multiple opponent pressure drills have a very different dynamic to all other types of full contact training. Like the child pressure tests, the risk factor goes up as the odds are undeniably stacked against the student undertaking the test. It reinforces the urge to escape and downplays the alpha male instinct that can be a dangerous distraction when faced with the realities of violence. Some have argued the importance to hit hard over the ability to hit regularly in these situations, but I disagree. 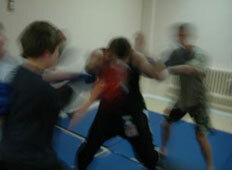 Generating power, along with accuracy and being able to hit regularly are all important factors in multiple attacker situations, but they are never going to come out as crisp and as impressive as they do when you are striking a single pad from a line-up or even as good as when you are fighting one-on-one at the basest level. Instead your responses will be a messy mixture of punching, covering, palming, pushing, dragging, biting, elbowing, butting, gouging, snaking away, kneeing and doing whatever necessary to get out of the scrum that is attacking you. Certain things prove efficient time and again, such as the importance of positioning and the principle of attacking the attack, and other things are shown to be wanting, I have yet to see the reactive tactics of block and counter being used to effect against a full on scrum. Scramble drills, as we call them, really lay everyone's attitude up for close examination, which brings us full circle to the non-physical tenets, starting with respect. Someone, from a martial arts background, once asked me in exasperation “how can you possibly teach principles without first teaching techniques?” This question really represents the state commercial and academic-orientated martial arts has become. It is little wonder that we still obsess over styles as if they were physical products and how martial arts clubs all over the country see cross training as an accumulation process rather than a means to help improve, redefine and reinforce an individual's basics. However, the tide has been slowly turning in recent years and there are several people in the martial arts industry who have adopted a principle-based/self-teaching approach. Steve Rowe was the very first to alert me to it with his “Eight Principles” of Shi Kon and his creative way of teaching. Steve takes his students back to the base principles of fighting and then showing them a physical way of remembering them. Essentially he takes his students through what could be called the birth of kata. Going over completely to the non-traditional side, Karl Tanswell is a staunch opponent of what he calls “learning by accumulation” and instead pushes the Straight Blast Gym's process of experimentation and integration of methods. He encourages personal testing of concepts both in isolation and then, looking at the whole picture, at the integration level of training. 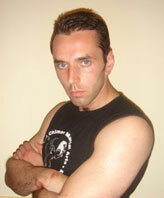 Mick Coup, the founder of Core Combatives, introduced me to the concept of non-verbalized commands in training and encouraged a self-teaching approach in students, which inspired me to think more about movement and body mechanics rather than individual techniques. Tommy Thompson and Rocky Sondhi are among the growing number of cutting edge sports coaches who now appreciate the huge benefits of unpredictability in an individualized approach to training and fighting. And there is a fair amount we can all learn from the Keysi Fighting System's embracing of chaos in our regular training drills from all ranges and angles. This pushes our need to adapt, and keeps our minds open. With some general and robust guidelines in place, guidelines derived from common sense, we can move onto developing strategies. I will cover this in my next article.